The Curious Wavefunction: Autism studies among the Asian-American diaspora. Last week's issue of Nature had a special section on autism research. One look at the series of articles should convince anyone how complex the determination of causal factors for this disorder is. From a time when pseudoscientific environmental factors (such as "frigid" mothers) were supposed to play a major role, we have reached a stage where massive amounts of genetic data are uncovering tantalizing hints behind Autism Spectrum Disorders (the title itself pointing to the difficulty of diagnosis and description) without a clear indication of causes. Indeed, as pointed out in the Nature articles, some researchers think that the pendulum has now swung to the other side and environmental factors need to be taken into account again. 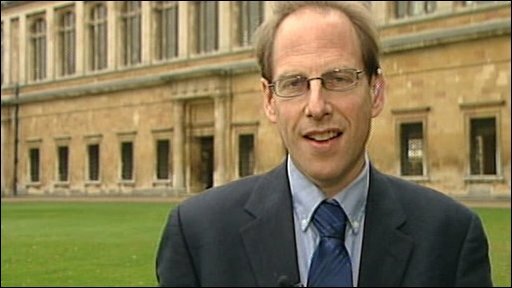 All the articles are worth reading, but for me the most interesting was a piece describing the research of psychologist Simon Baron-Cohen (brother of the colorful actor Sacha Baron-Cohen) who believes that there is a link between autistic children and the probability of their having technically-minded parents like engineers or scientists. Baron-Cohen's hypothesis has not been validated by rigorous studies but it's extremely intriguing. He thinks that the correlation may have to do with the existence of a "systematizing" brain, one which is adept at deciphering and constructing working relationships in mechanical and logical systems, but which is simultaneously rather poor at grasping the irrational, ill-defined nature of human relationships. Baron-Cohen's hypothesis would be consistent with the lack of empathy and human understanding sometimes found among autistic individuals who also seem to have an aptitude for mathematics, science and engineering. The moment I read the article, I immediately thought of the substantial Asian-American diaspora in the US, especially Indian and Chinese. I don't have precise statistics (although these would be easy to obtain) but I would think that the majority of Indians or Chinese who emigrated to the US in the last twenty years or so are engineers. If not engineers then they would mostly be scientists or doctors, with businessmen, lawyers and others making up the rest. Chinese and Indian engineers and scientists have always been immigrants here, but the last twenty years have undoubtedly seen a dramatic increase in their numbers. Now most of the Asians who migrated to the US in the last few years have children who are quite young. From what I read in the Nature article, it seems to me that this Asian community, especially concentrated in places employing large numbers of technically-minded professionals like Silicon Valley and New Jersey, might provide a very good population sample to test Baron-Cohen's hypothesis between autism in children and their probability of having parents who are engineers or physical scientists. Have there been any such studies indicating a relatively higher proportion of ASDs among Asian-American children? I would think that geographic localization and a rather "signal-rich" sample to test Baron-Cohen's hypothesis would provide fertile ground. And surveys conducted with these people by email or in person might be a relatively easy way to test the idea. In fact you may even gain some insight into the phenomenon by analyzing existing records detailing the ethnicity and geographic location of children diagnosed with autism in the last two decades in the US (however, this sample may be skewed since awareness of autism among Asian parents has been relatively recent). If the prevalence of autism among recent Chinese and Indian children turns out to have seen an upswing in the last few years (therefore contributing to the national average), it would not prove Baron-Cohen's hypothesis. There could be many other factors responsible for the effect. But the result would certainly be consistent with Cohen-Baron's thinking. And it would provide an invitation to further inquiry. That's what good science is about.